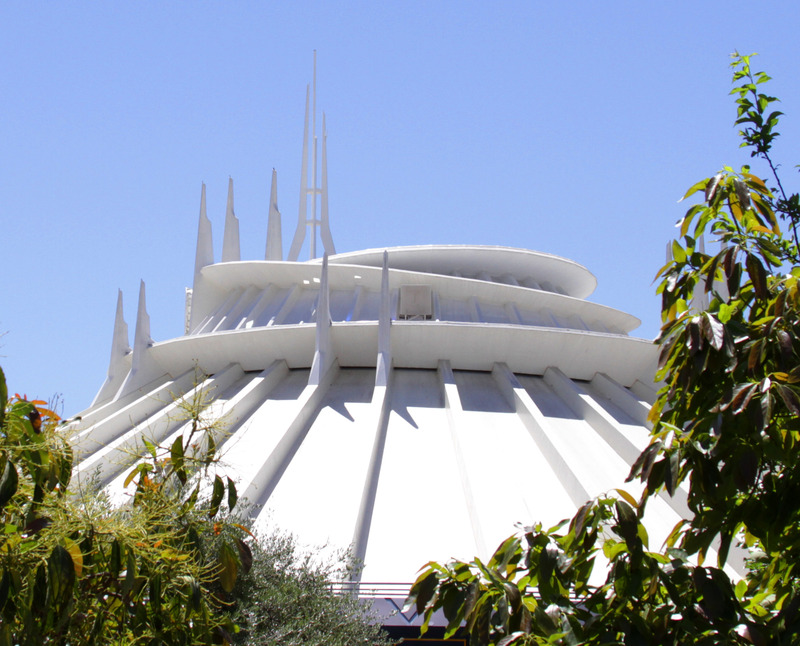 We take many trips to Disney Parks, both domestic and abroad, and the work of Walt Disney Imagineering has had a tremendous influence on our sense of design. 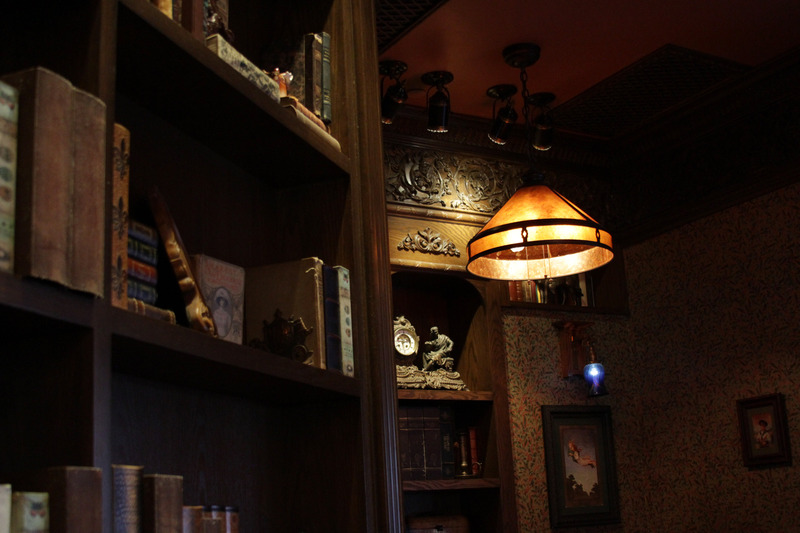 We will be traveling to Tokyo Disney Resort later this year, and here we thought that we would share some of our favorite things about Disneyland Park, as we eagerly await what the Imagineers have in store for us in Japan. 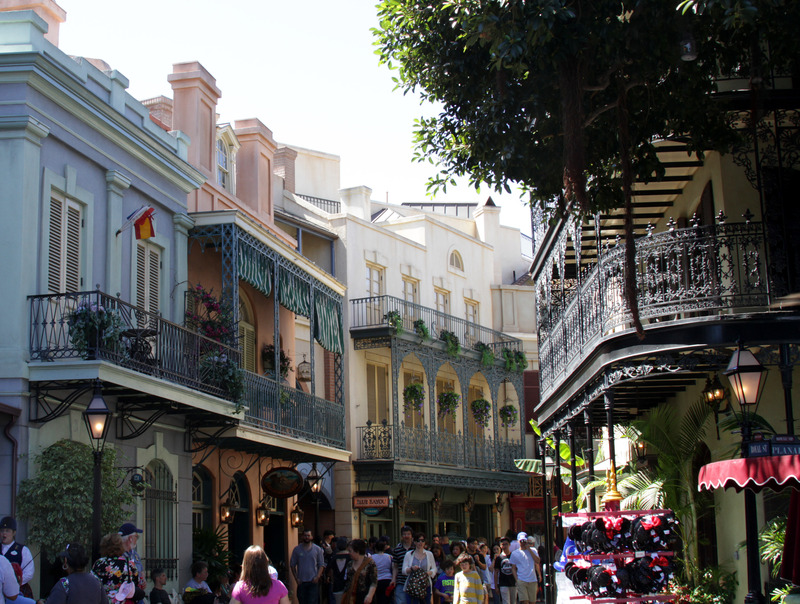 New Orleans Square is an environment that begs to be explored, rather than simply passed through. The streets take a winding path full of discoveries that are not evident from the waterfront. The masts of that ship rising up from the rooftops creates the illusion of a much larger environment. The space extends for miles in our minds because of these layers of depth. 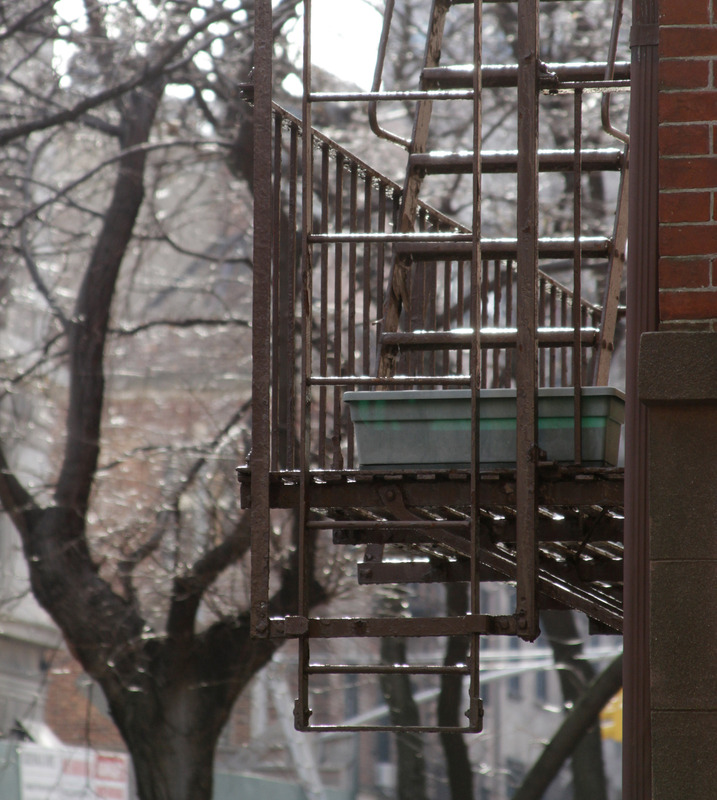 The implication of a world just beyond what we can see is also present on the second floor balconies. The set dressing creates characters who live here, such as the artist who is painting this picture. 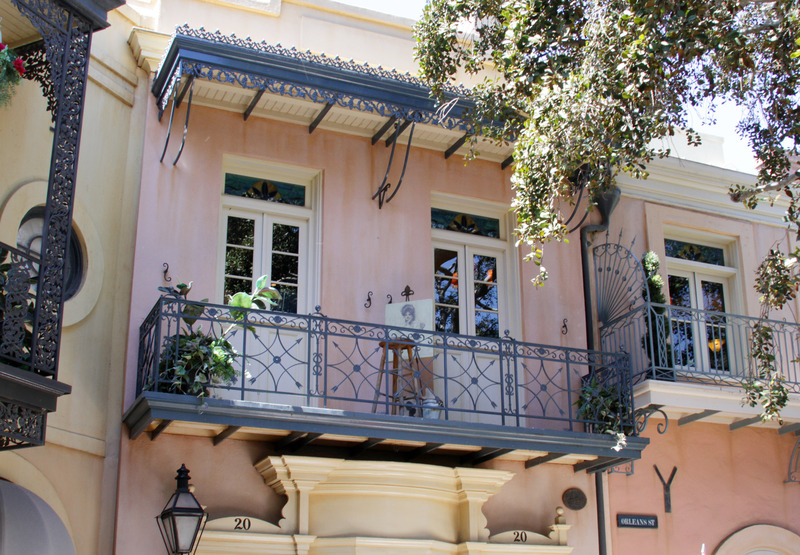 The props combined with “off-screen” sound make New Orleans Square feel so alive. 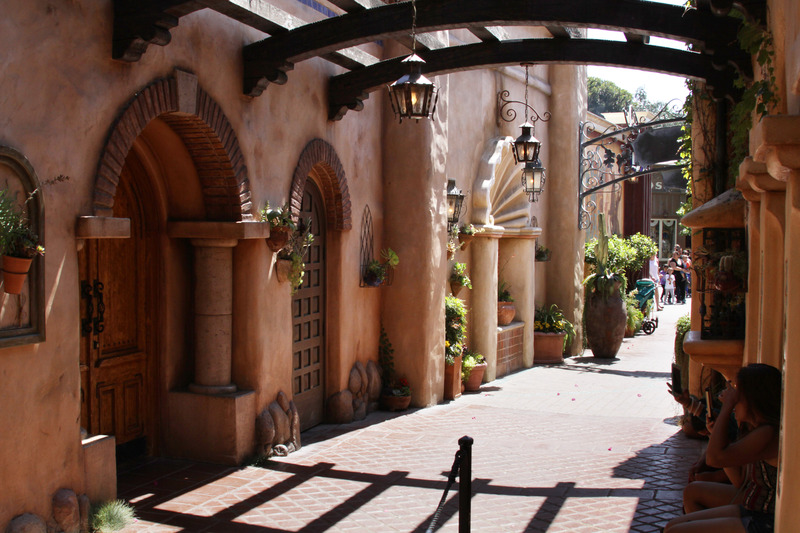 Within the adobe archways of Rancho del Zocalo, we can rest our weary feet, shielded from the harsh sun of the American Southwest. Should we venture beyond the safe confines of the hacienda to see what awaits in the town of Rainbow Ridge? 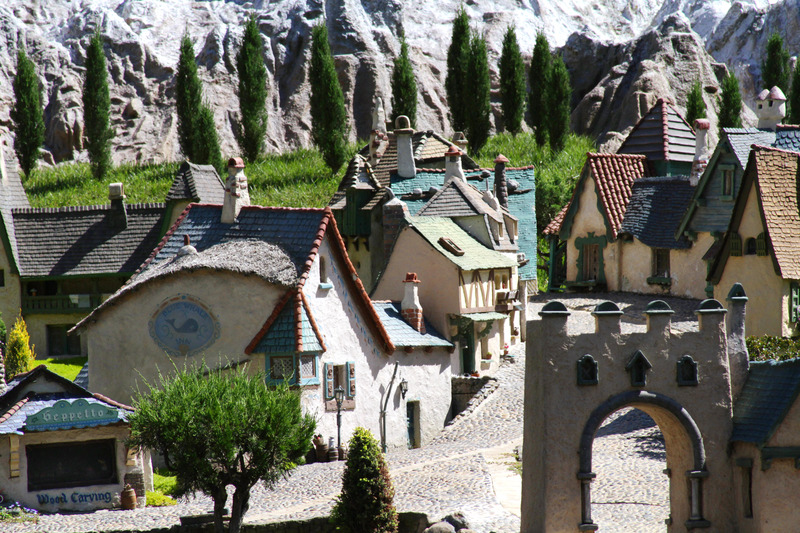 ‘Character paint’ and ‘character plaster,’ seen here in Fantasy Faire, are great ways to communicate the idea of a lived in environment that has a sense of place. This crumbling facade hints at a rich, storied past. Many people have inhabited this space before, working with different materials, speaking different languages, and facing a harsh environment. We don’t know for certain just how this building came to look this way, but our imaginations can provide the details. The excellent forced perspective of the Indiana Jones Adventure is extremely convincing when partially obscured through the jungle. 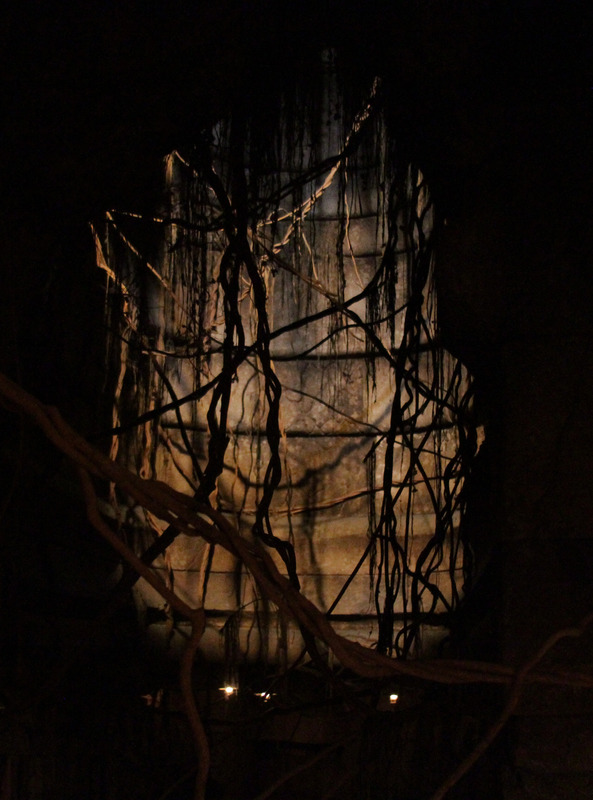 Be careful not to look into the eyes of Mara, or else this small glimpse of daylight will be the last that you ever see, as you board your troop transport in the Temple of the Forbidden Eye. 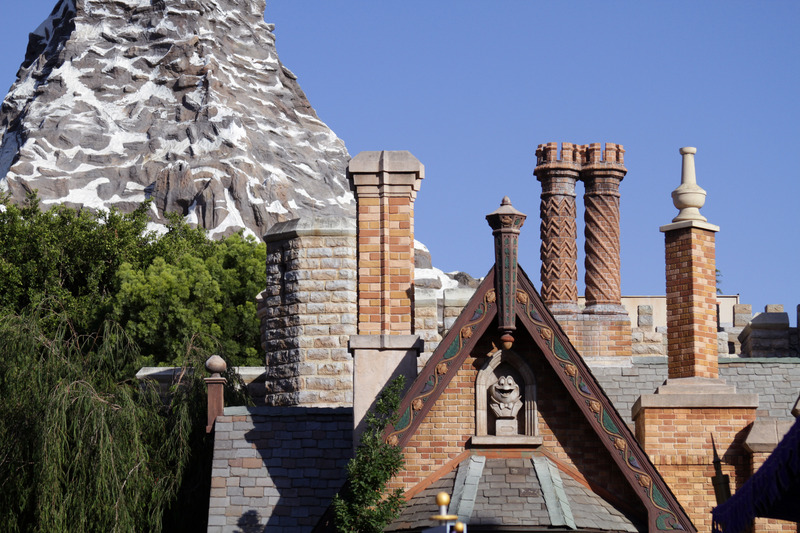 No wonder Toad Hall needs so many fireplaces, being at the foot of that snowy mountain. 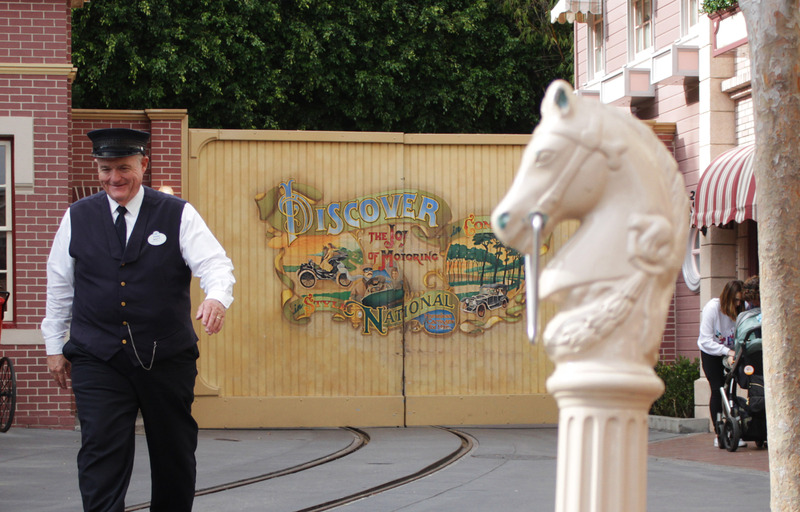 When we arrive at Main Street, U.S.A. we are immediately aware that we are at a time of transition where the horse and buggy exists side by side with the motorcar. The gas lamps have begun to be replaced by the electric light, but the remnants of that bygone era still remain. 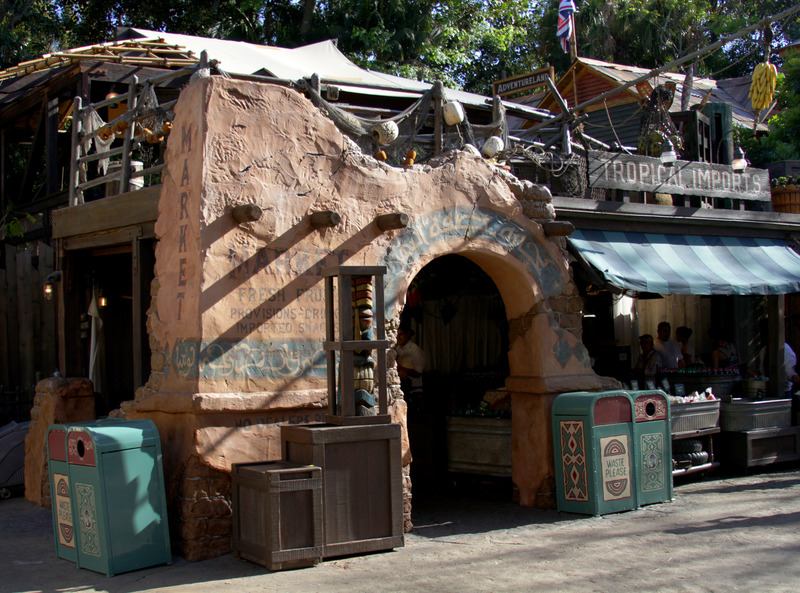 Every piece of set dressing that you see in the shops of Main Street, U.S.A. is giving an idea of what types of people own these shops and inhabit this land. 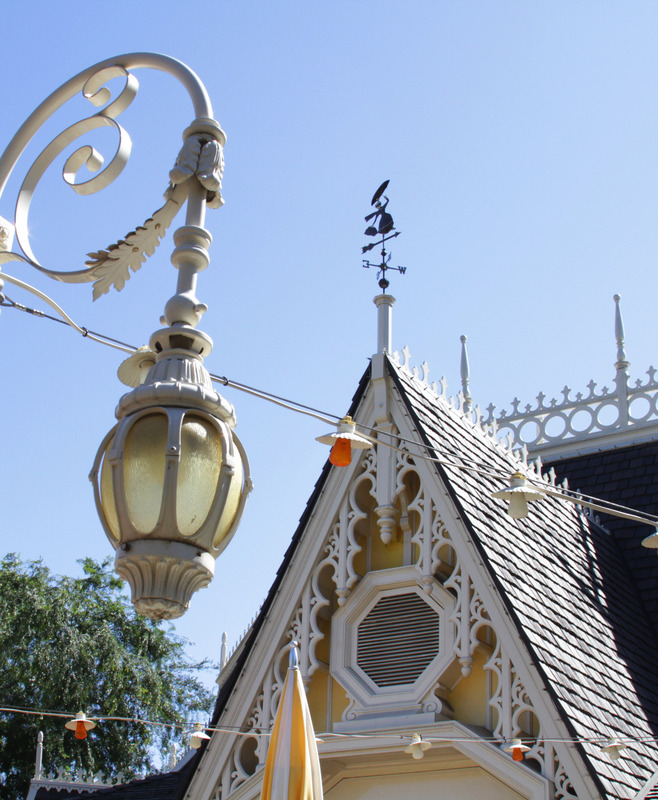 On a windy day, Mary Poppins is blown every which way on this weathervane atop Jolly Holiday Bakery Café. 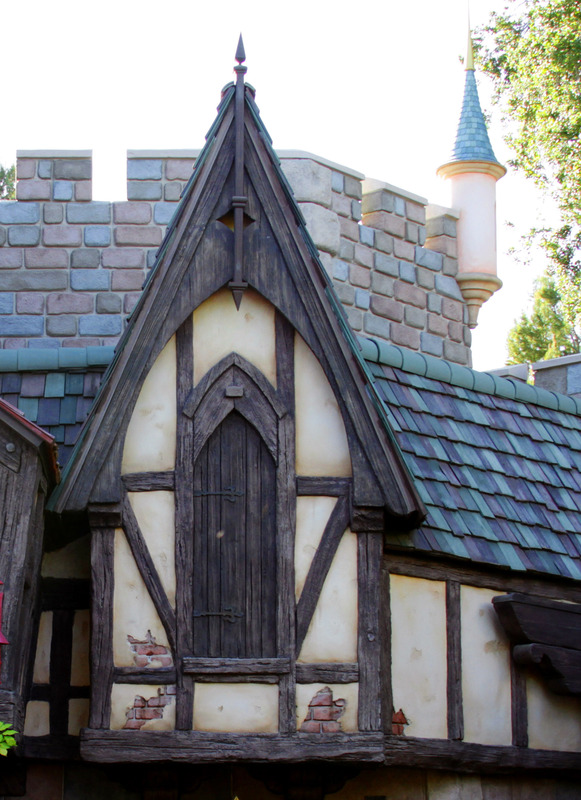 What lies beyond the visible walls of Fantasyland? 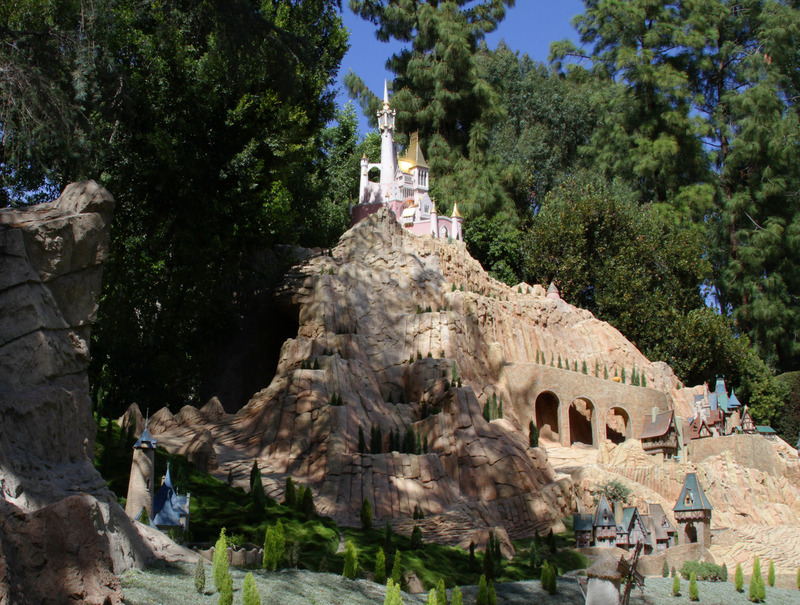 The wide open vistas of Storybook Land provide our imaginations with the necessary context to fill in those gaps. These wonderfully composed, highly detailed landscapes are perhaps the most direct representation of the world in which the Disney animated classics take place. 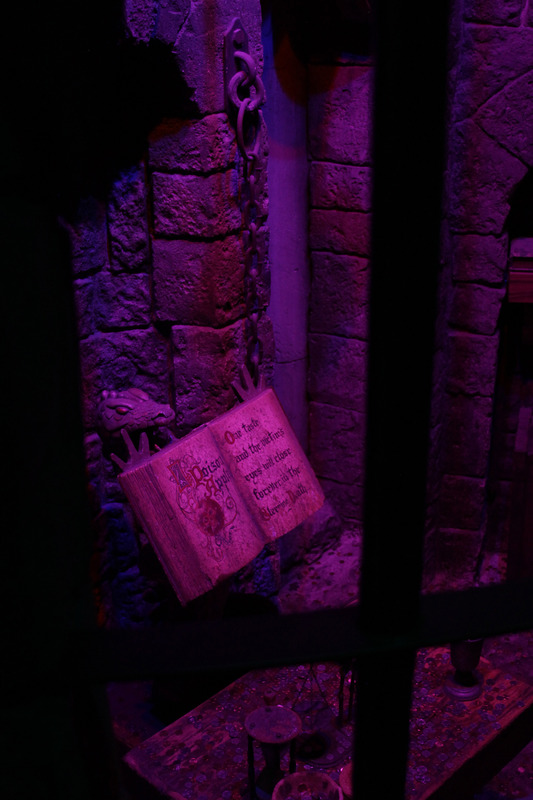 Immediately upon entering the queue for Snow White’s Scary Adventures, the tone is set with a glimpse into the Evil Queen’s dungeon, and the dread that she will stop at nothing to afflict our heroine with the Sleeping Death. 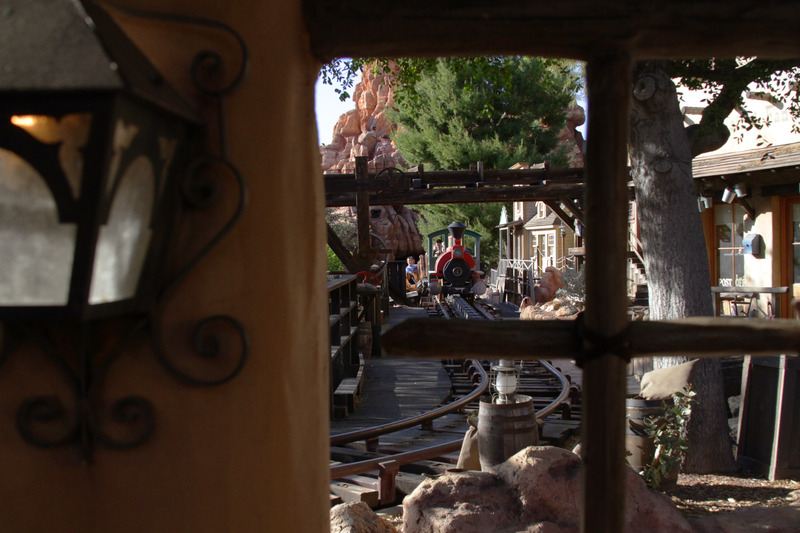 From Frontierland a magic portal opens up, giving us a window into another exotic world. This is a special quality of Disneyland, which is different from the way that the much larger Magic Kingdom gradually transitions from one land to another. Space Station 77 seems to float above the horizon, promoting an optimism about space travel, and promising adventure. 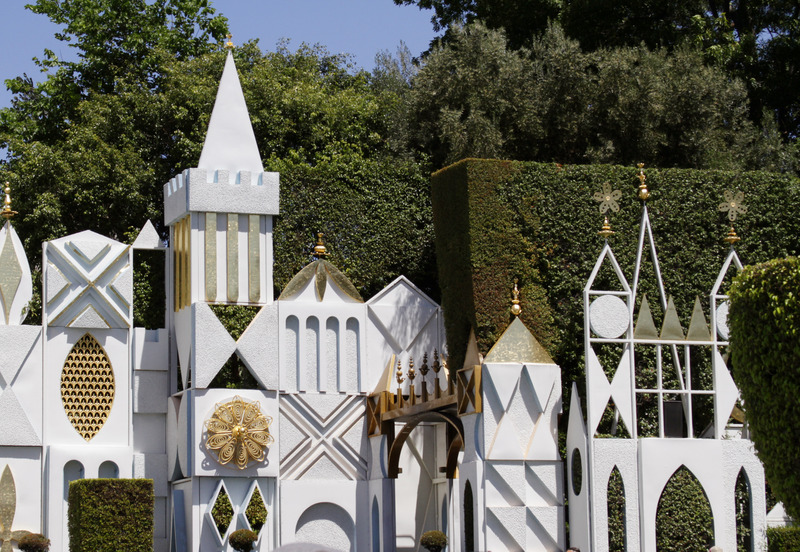 The hedges around It’s a Small World make the structure feel light and airy, maintaining the scale that the interior of the attraction works in. 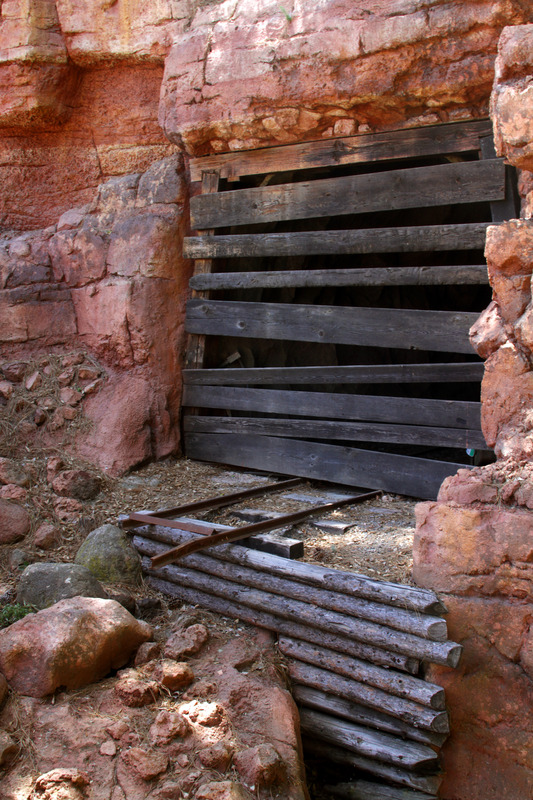 This boarded up tunnel is one of the last remnants of Mine Train Through Nature’s Wonderland, which was removed to build Big Thunder Mountain Railroad. 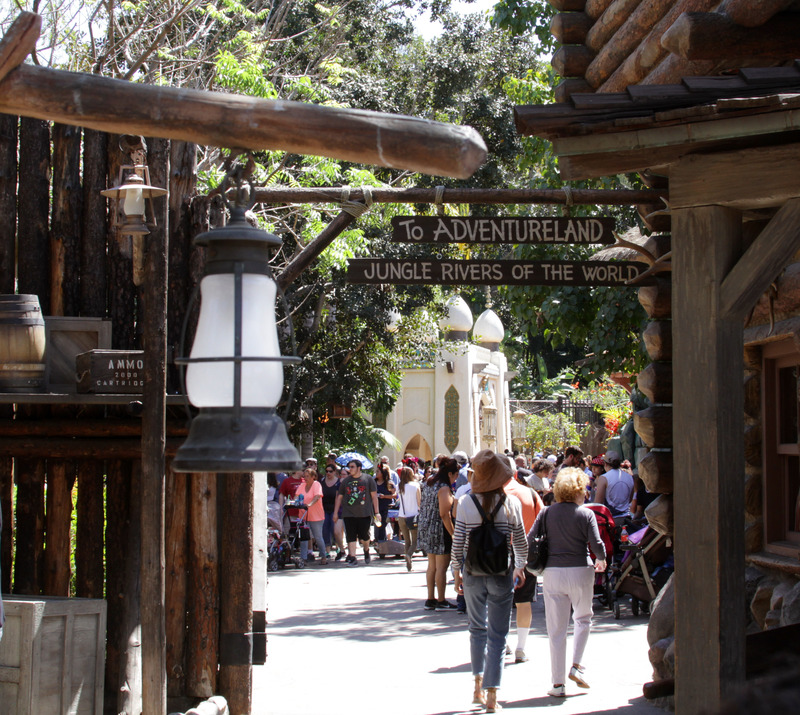 It is now a piece of real world park history that also functions as an in universe history for Frontierland. 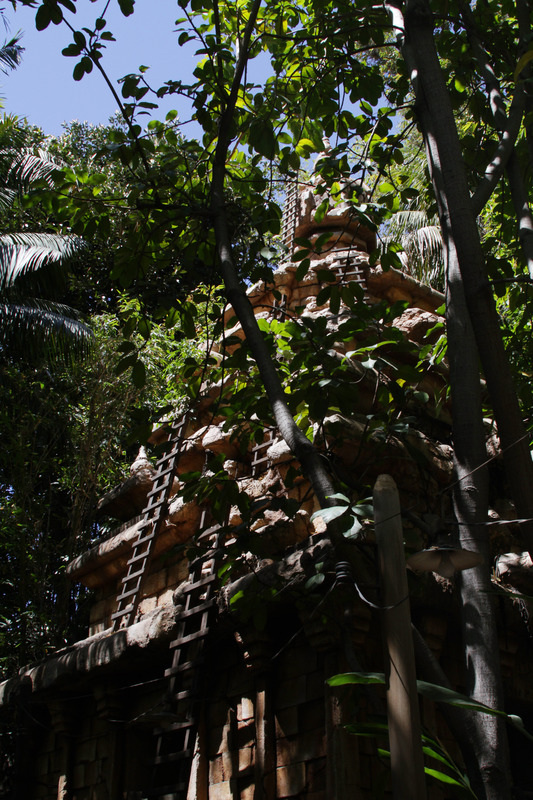 This British (we still like to pretend it is Swiss) settlement may have temporarily tamed the jungle, but we know from the Jungle Cruise and Temple of the Forbidden Eye, that in Adventureland, nature will always win out over man. 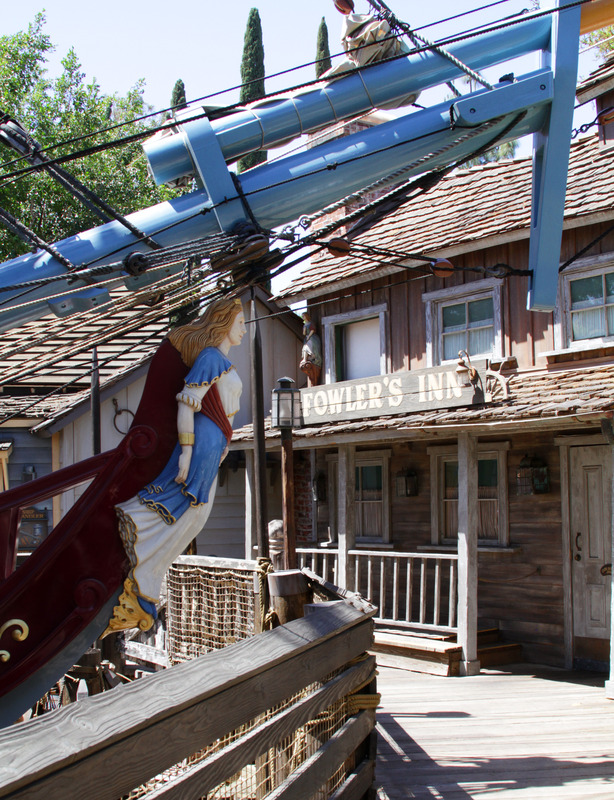 While the Sailing Ship Columbia is in dry dock, her crew can find a hot meal and a warm bed at Fowler’s Inn. 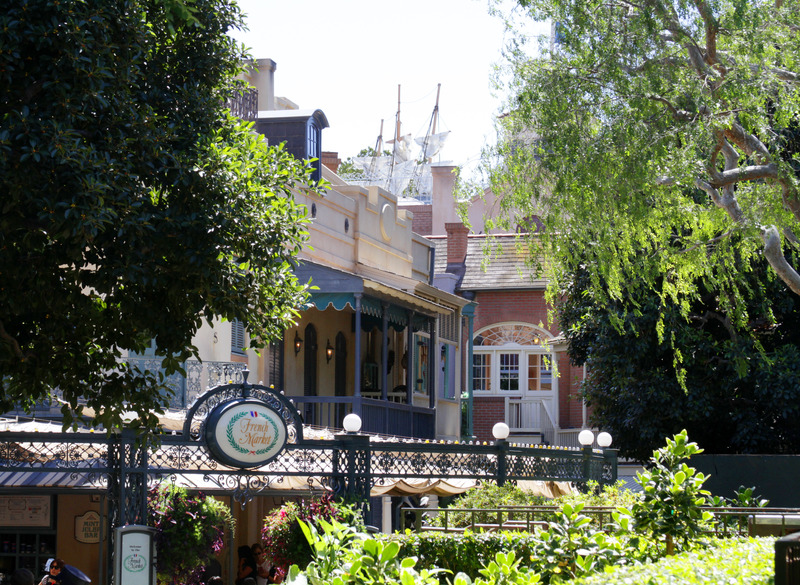 This sleepy area of the waterfront offers a contrast to the hustle and bustle of New Orleans Square. 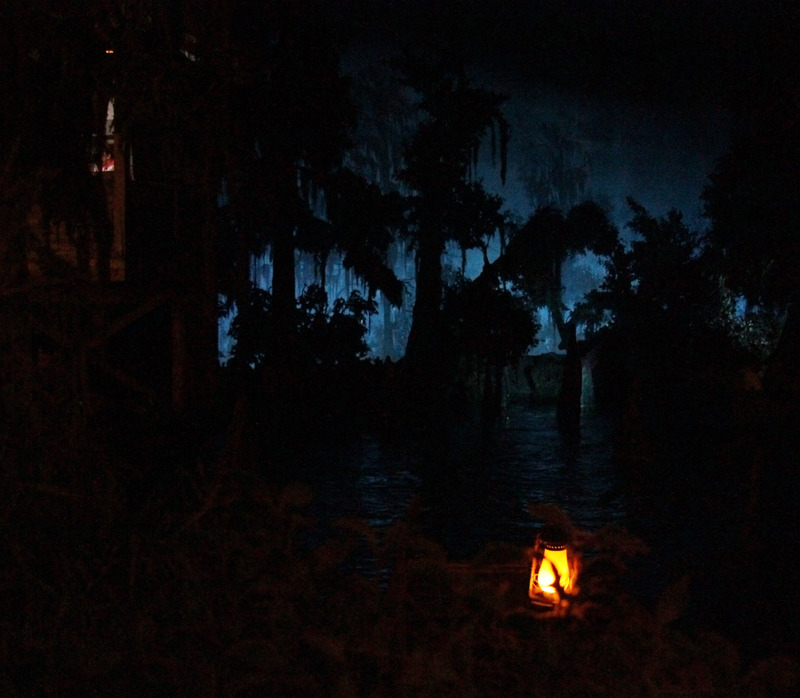 The calm stillness of the Blue Bayou lulls us to sleep before we are whisked down a waterfall into a dreamy underworld of decaying pirate corpses. 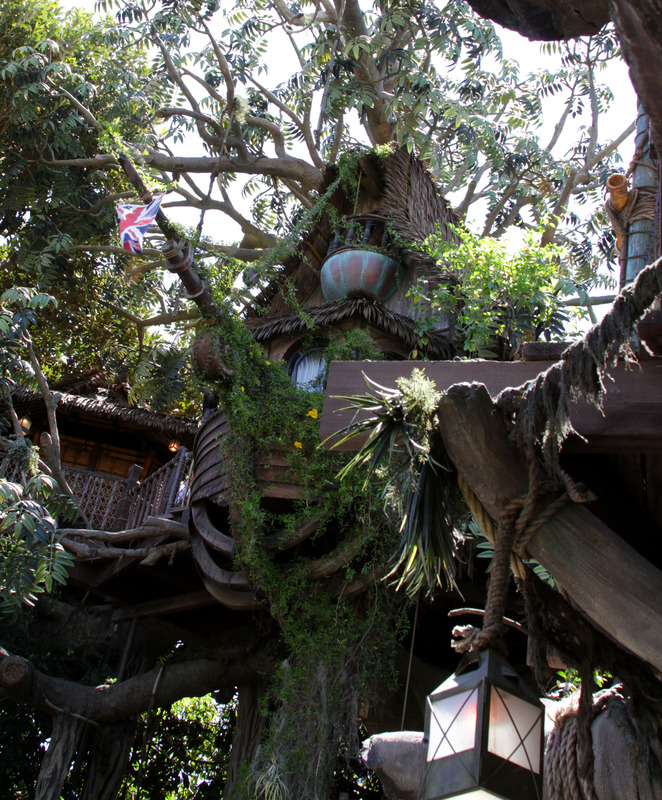 These are only a few of the myriad ways that Disney Parks have created the perfect setting for our imaginations to run wild. 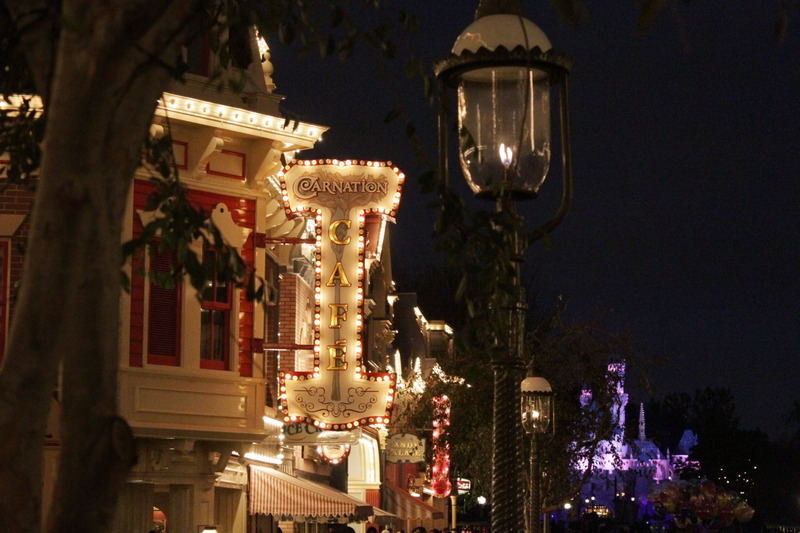 Experiencing new parks is always a thrill, but Disneyland will always be our favorite. Over the past 60 years, it has developed a set of quirks that give it a unique charm that is hard to beat. 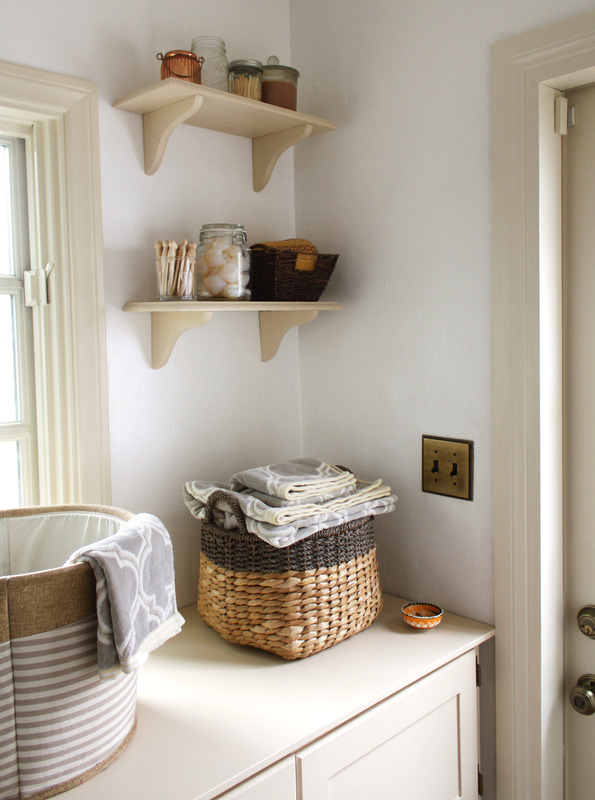 The final part of our kitchen remodel was finishing up the attached laundry room. When conceiving of the layout, size was the biggest consideration. 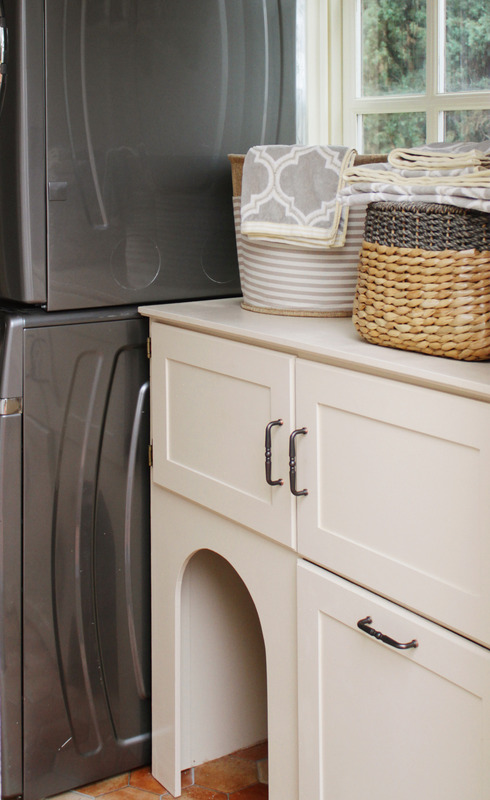 This is a very narrow space that was certainly not built with the size of 21st century appliances in mind, so the very first decision we made was to stack the washer and dryer, instead of having them side by side. 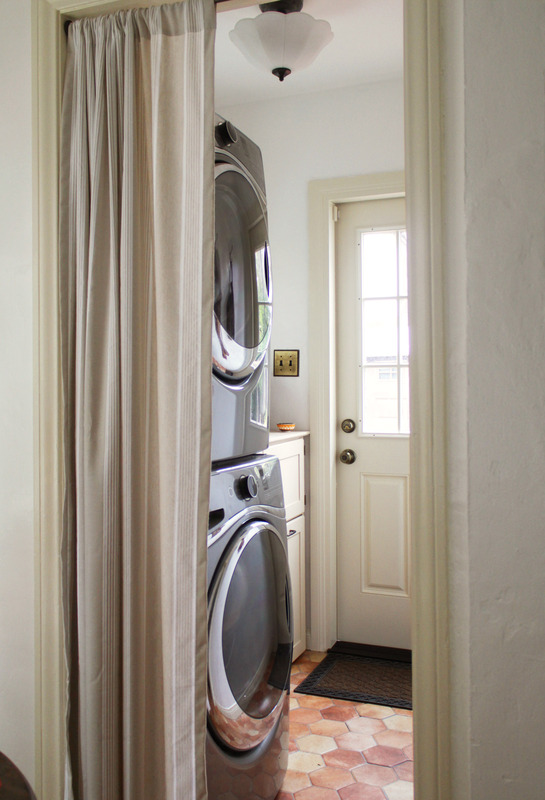 We knew we wanted to de-emphasize how far the washer and dryer extended out, and wanted to have a visual divider from room to room, so we put a curtain in the doorframe to create a soft separation from the breakfast nook. We were able to make the most out of this small space by having a custom cabinet built by Martin Cabinet Designs, who also built our kitchen cabinets and breakfast nook. We gave them details on how we wanted it to look, and they created it to fit the space and our needs perfectly. Our kitties, Titan and Atlas, have their own private doorway to enter their litter box, and the bottom of the cabinet rolls out for easy cleaning. 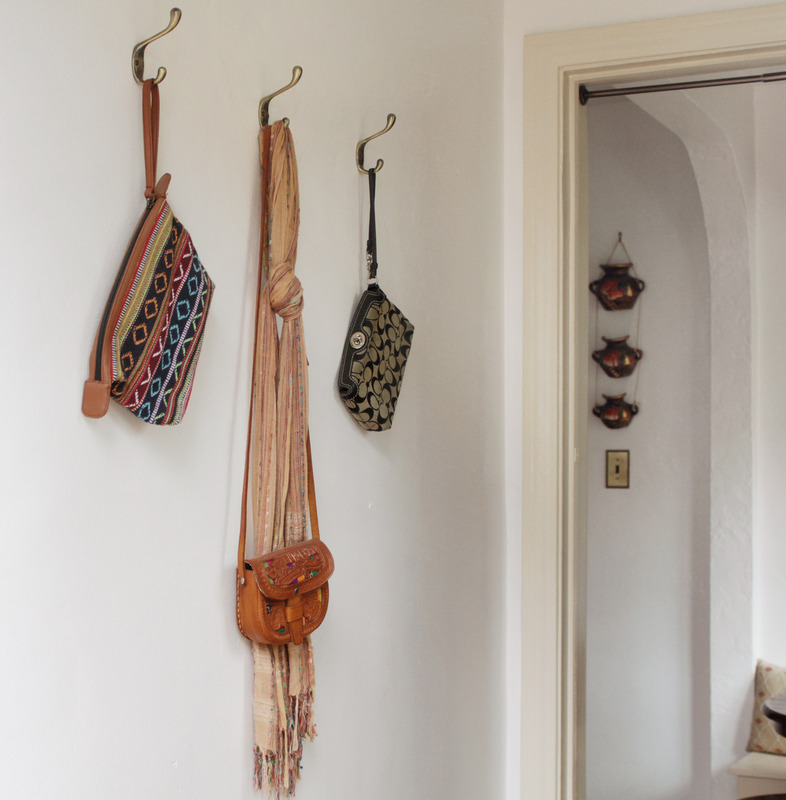 On the opposite wall from the washer and dryer, there was just enough room to put up some hooks that I use to hang a few small purses and scarves. 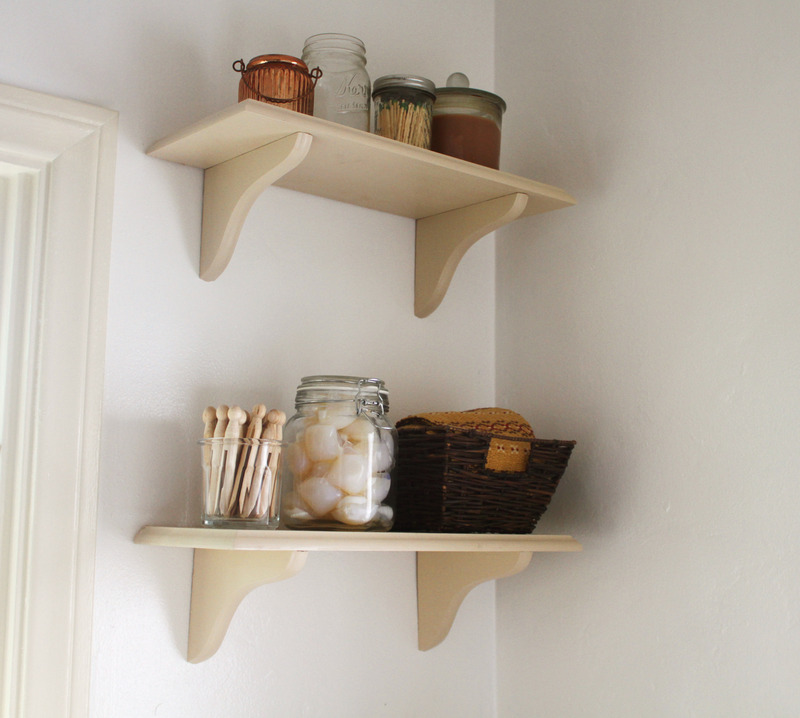 A couple of small shelves on the wall complete the room by giving us a little extra space for storing items. It may be tiny, but our new laundry room fits all of our needs, and the kitties seem to be pleased with it too. It just goes to show that you don’t need to knock down walls in order to make a space more functional. 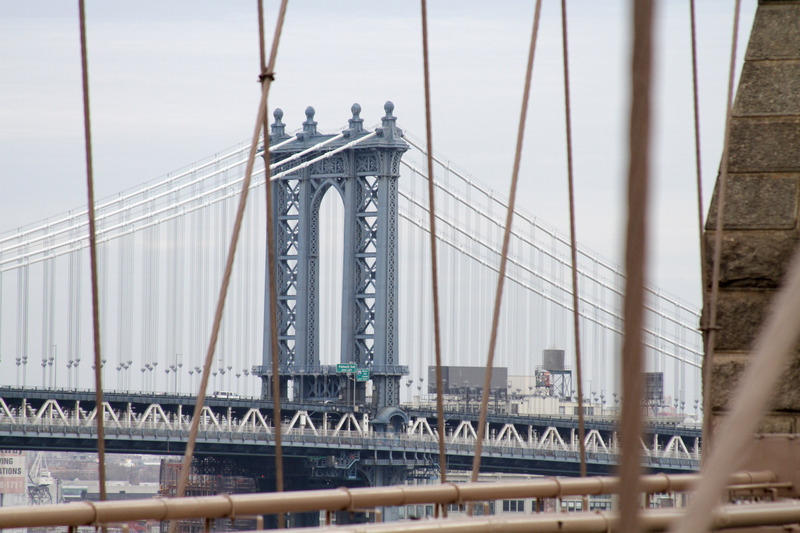 After having visited Manhattan two years ago during the Christmas season, we decided that this year we would take a trip to Brooklyn. 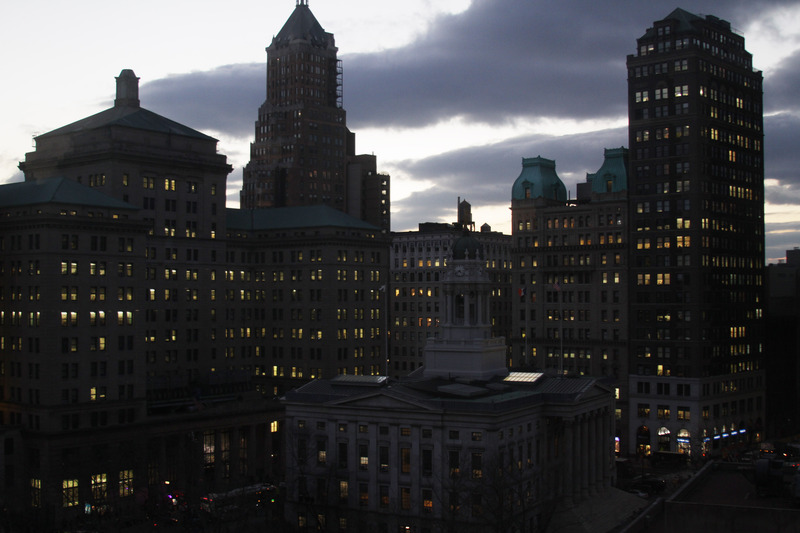 We have some friends who are living in the borough, and it’s one part of New York City that we had never explored before. 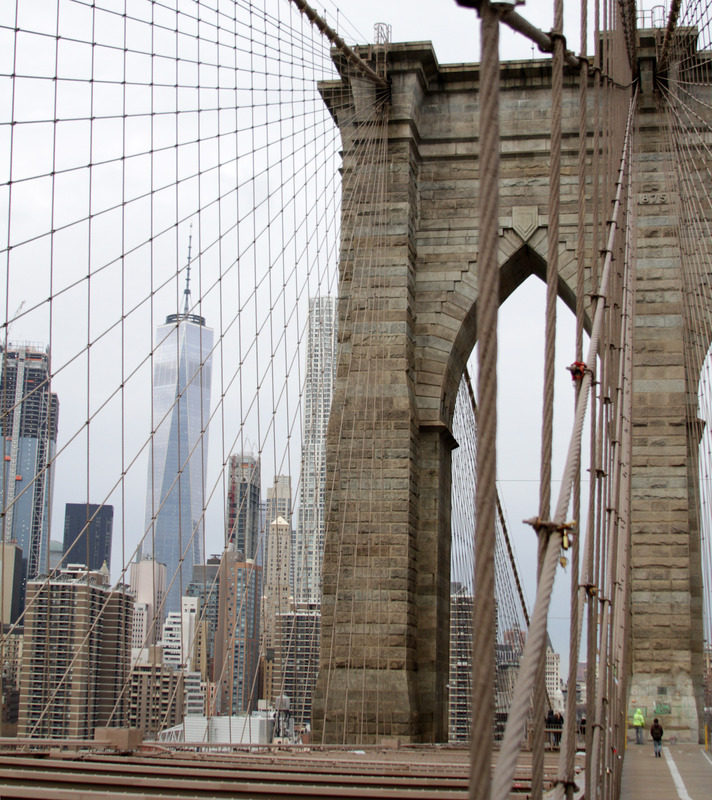 I had walked across the Brooklyn Bridge during school field trips, but James had never had the opportunity. 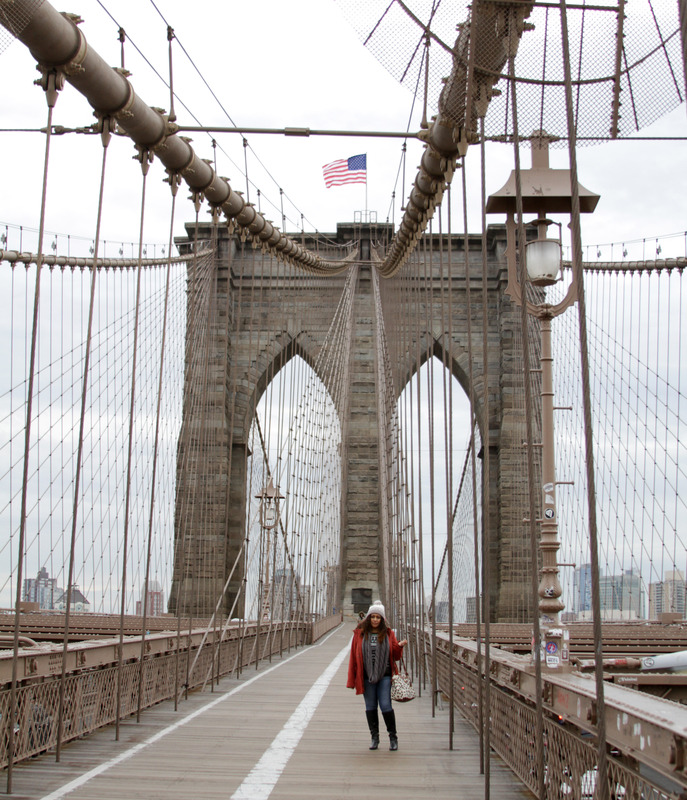 We bundled up and braved the winds to cross over from Manhattan. From the Brooklyn Bridge, we had a great view of James’ favorite bridge, the Manhattan Bridge. This hilarious sign, which has not quite deterred lovers from vandalizing city property with their padlocks, was a warm welcome to the borough’s personality. 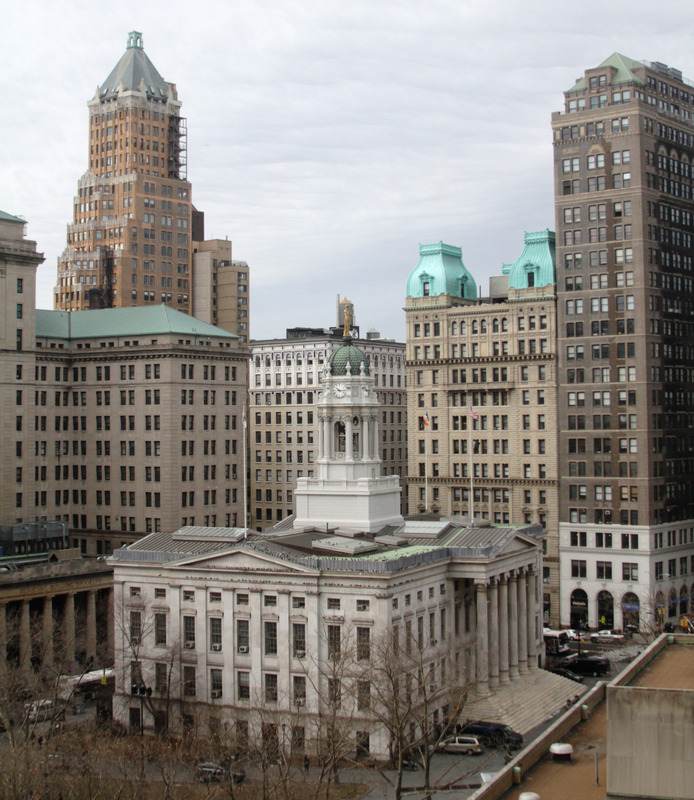 We spent the night at a hotel right across the street from Borough Hall (formerly the seat of government for the City of Brooklyn), which we had a great view of from our room window. 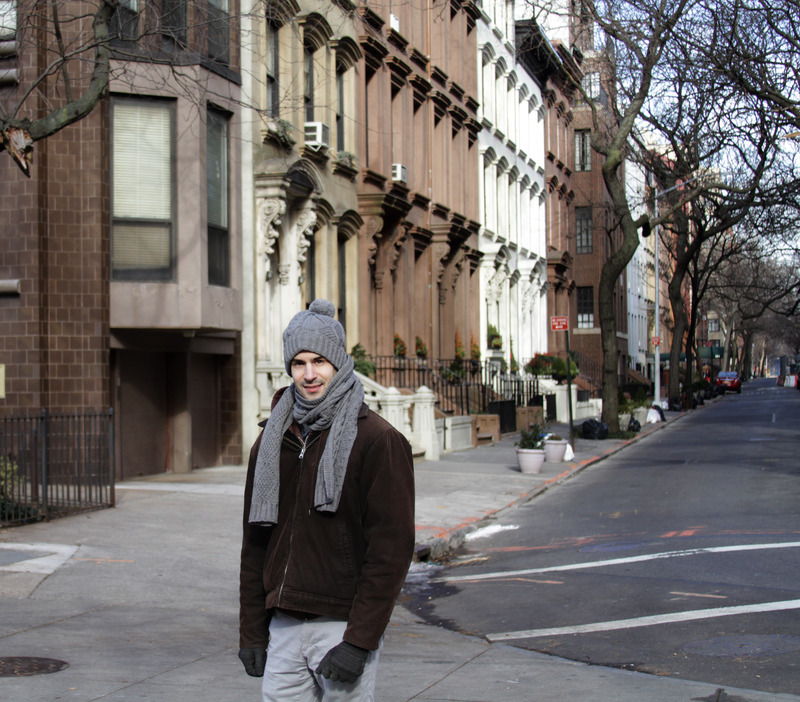 After crossing the bridge and settling into our hotel room we took to the streets for the day. 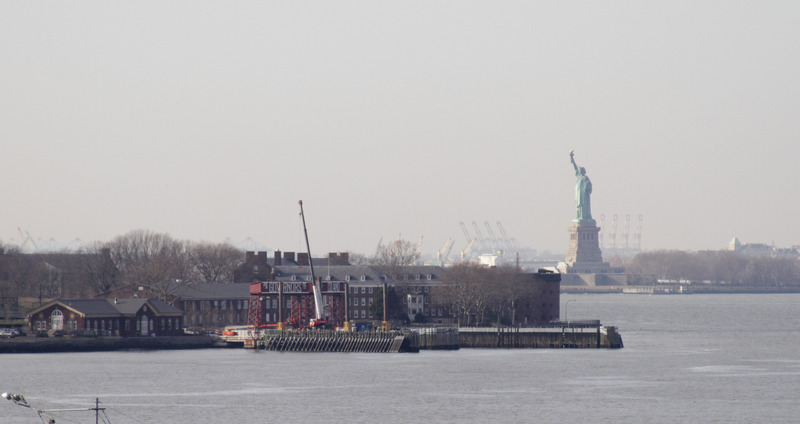 Not far from our hotel was the Brooklyn Heights Promenade, which gave us a chance to see other landmarks such as the Statue of Liberty and Ellis Island, locations that we would like to visit on later trips to New York. 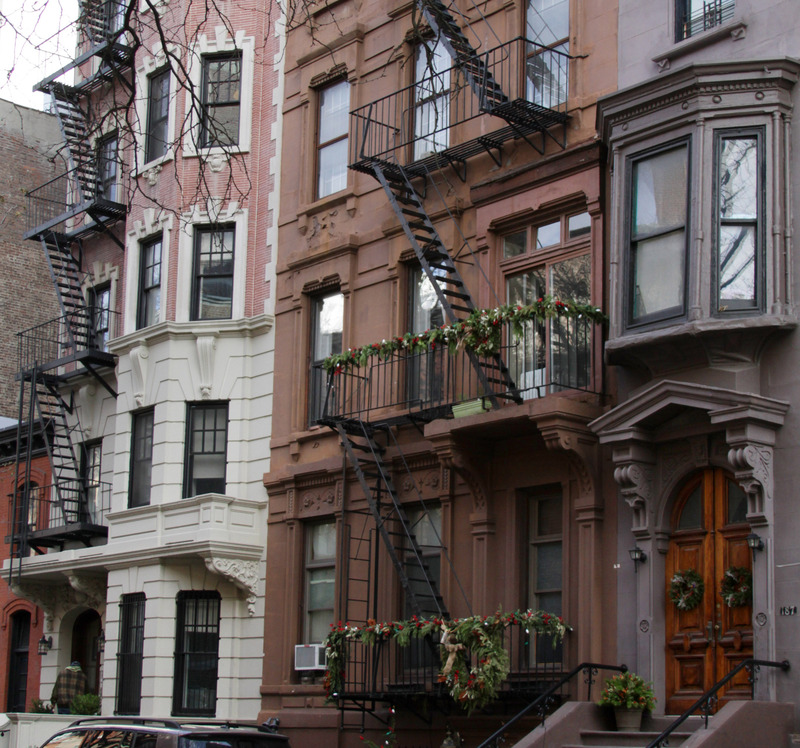 The highlight of the trip was strolling past all of the 19th century brownstones that line the streets of Brooklyn Heights and Cobble Hill. 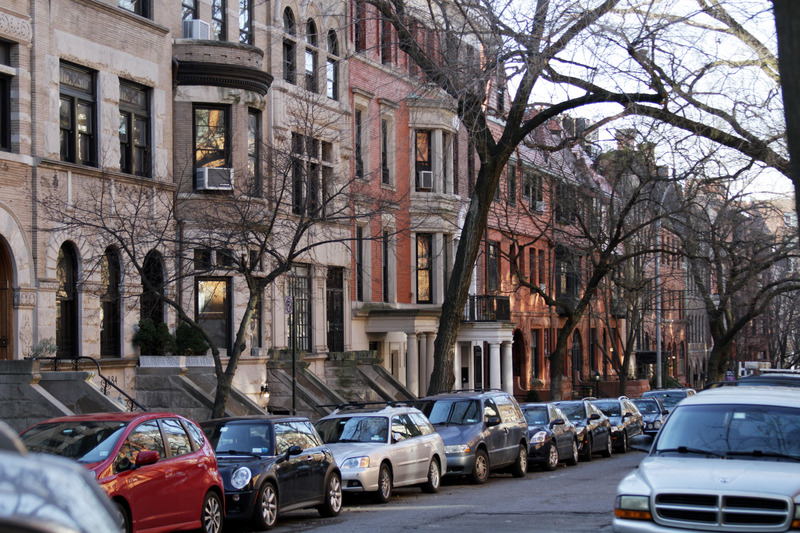 It was very reminiscent of our recent trip to Boston, where we saw an abundance of row houses on Beacon Hill. Many of the residences were tastefully decorated for the season. 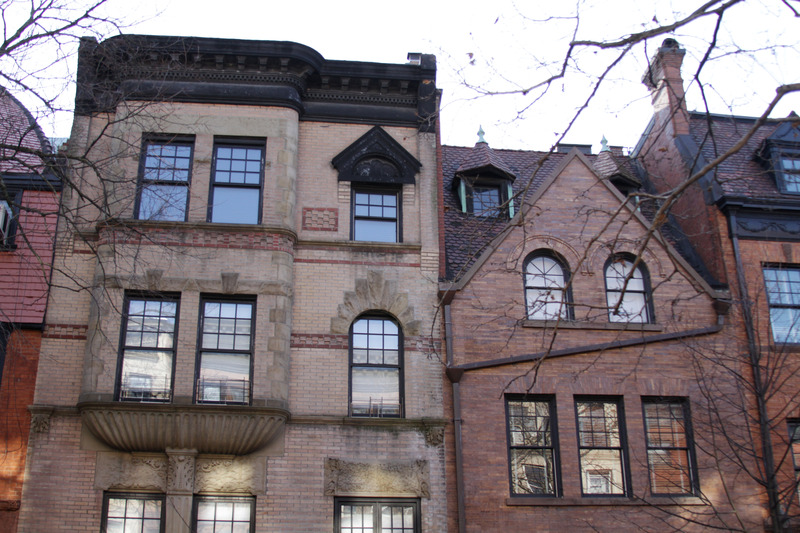 Park Slope offered another pleasant residential neighborhood to walk through, right across from Prospect Park. 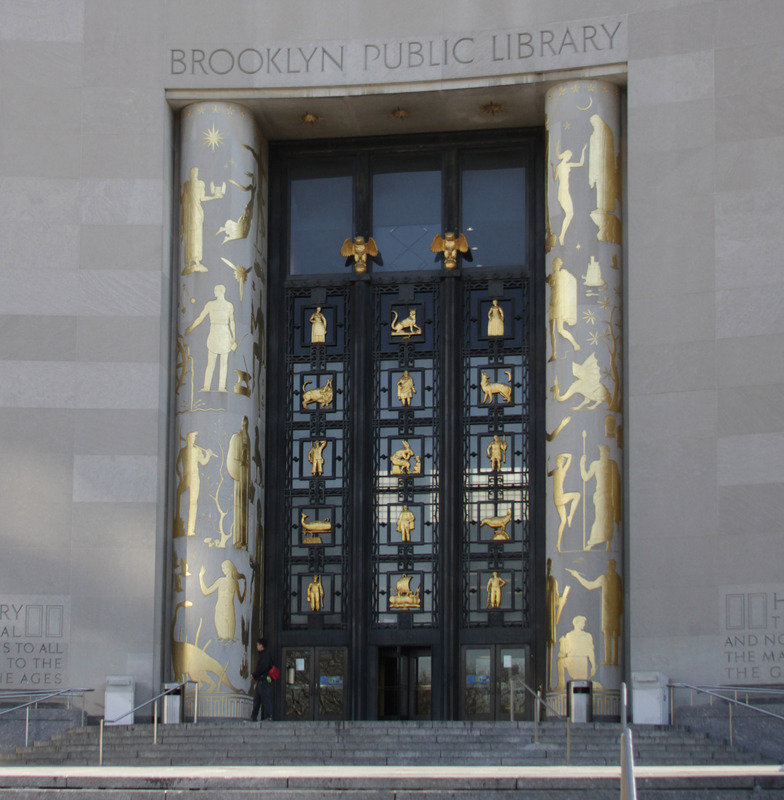 We also visited the Brooklyn Central Library, which is part of a completely separate library system serving only that borough, not affiliated with the New York Public Library. 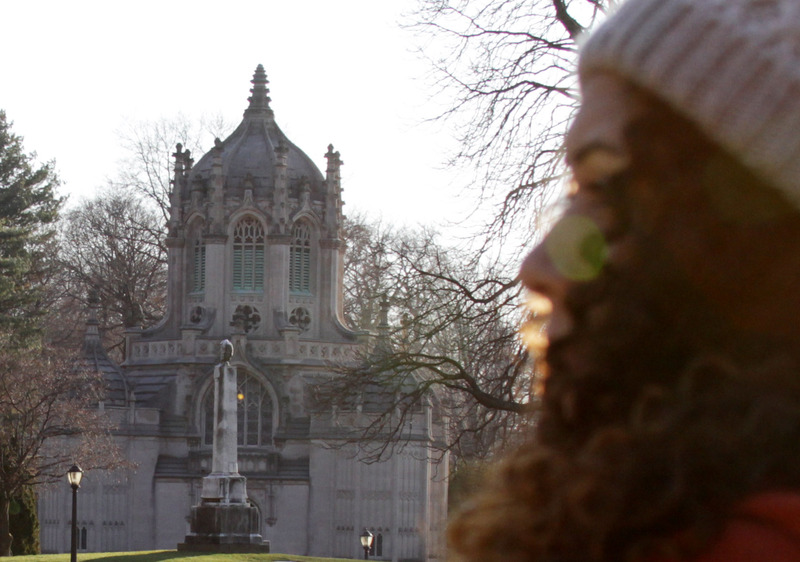 We then headed towards Green-Wood Cemetery, which feels like a storybook setting. 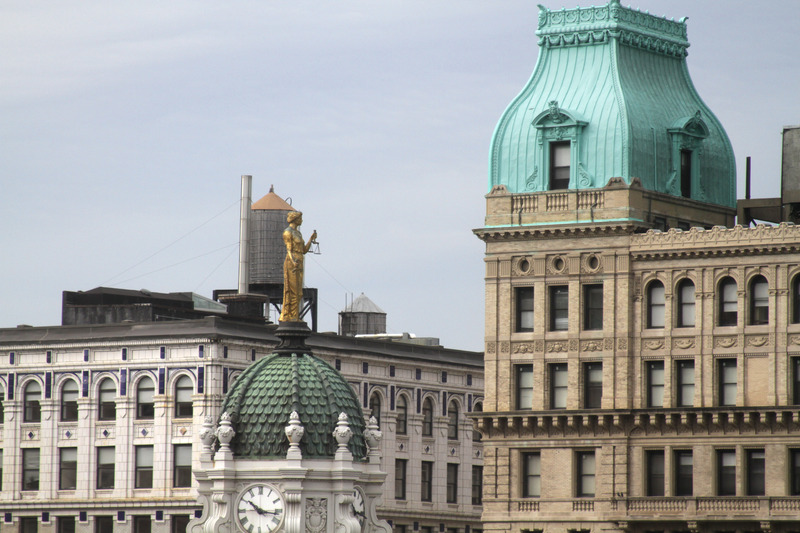 Many of the most famous (or infamous) New Yorkers have been buried here, such as “Boss” Tweed. 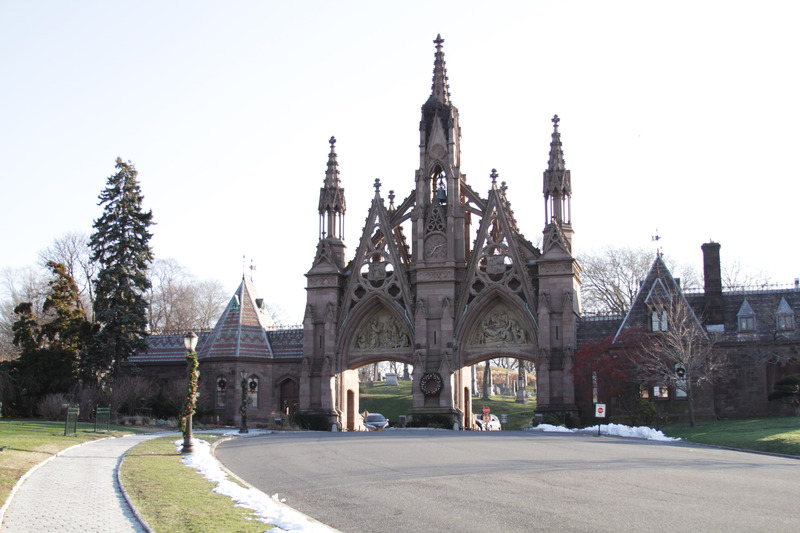 Here is the gothic gate that serves as the northern entrance. 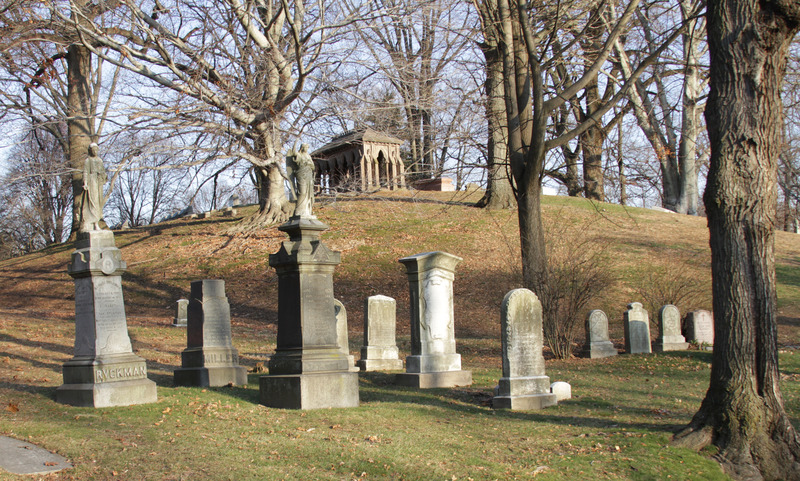 The cemetery is a vast collection of statues and mausoleums, in addition to the expected headstones. Meandering through the curved pathways is a very peaceful experience. 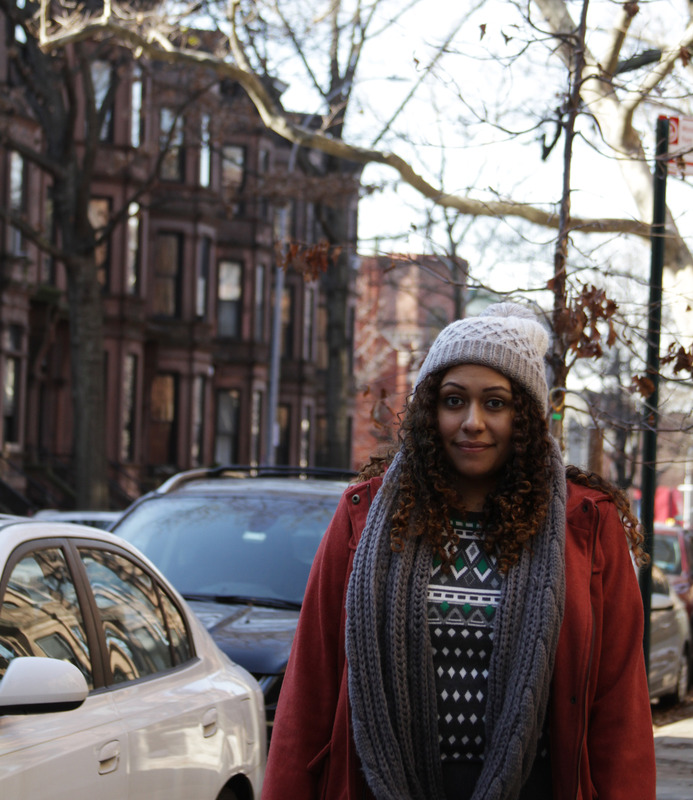 We had a wonderful stay in Brooklyn, and were so glad to finally explore the area. We will continue to travel to New York City when we can, revisiting the boroughs that we have seen, and exploring new ones as well.